This book describes the sources of water contamination by PAHs and their transportation and fate in natural aquatic systems. 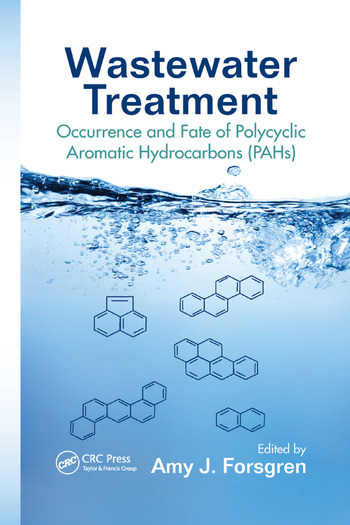 It then discusses, from the analytical chemist’s view, how to determine the presence of PAHs in water and wastewater, and the changes in PAH concentration during treatment processes. The text examines the removal of PAHs using membrane bioreactors and advanced sludge processes, highlighting results from both demonstration and full-scale plants. It also examines the presence of PAHs in conventional wastewater treatment plants, especially in sludge. "…a timely publication of relevant technologies to detect, quantify, and treat PAHs in various environmental matrices including water, wastewater, sewage, sludge, soil and sediment. Written by academic and industrial international experts, the book covers a wide spectrum providing in-depth analysis using up-to-date references, pilot and full-scale studies, relevant for academic researchers as well as practicing engineers." "Wastewater treatment plants are considered as a point of convergence of a huge diversity of organic contaminants present at low to very low levels but that may affect our ecosystem when treated wastewaters and sludge are discharged into the environment; PAHs are ones of concerns. Their presence in natural waters, wastewaters, sludge, soils and sediments, their fate and removal during conventional and advanced wastewater treatments, their environmental behavior are of particular interest for engineers, scientists, policy makers, and are depicted in this book which gives an updated overview on these relevant topics."